Kraus & Naimer KG isolating switches offer a solution for several isolating switch applications. 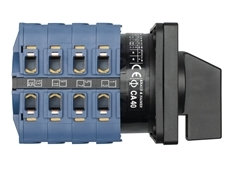 The KG isolating switch comes with many optional extras include shaft extensions, door clutches, neutral and ground terminals, up to eight auxiliary contacts, terminal covers and various locking devices. The variability of the KG Isolating switch is provided by the modular design system, power ratings for every application, and two different design variants. This permits optimisation of KG isolating switches for a large variety of requirements. KG isolating switches are compact while featuring unusually large isolation distances between open contacts for maximum safety. Forced opening and closing main contacts are standard. The Kraus & Naimer KG isolating switch can be used as an off-on or changeover switch. When coupled with the range of standard and custom-built enclosures, the KG isolating switch is the perfect solution to special needs or aggressive environments. The terminals of the KG Isolating switch are in the same plane and in line with connecting wires or bus-bars. On-Off switches are available with three to eight poles, double-throw switches with three or four poles and a special version for applications in motor control centers is available. 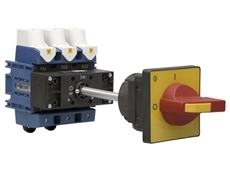 KG isolating switches up to 160A also have fingerproof terminals, an integrated screwdriver guide for the use of motorized screwdrivers and an integrated snap-on feature for DIN-rails on base mounted switches. 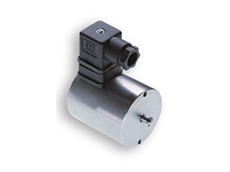 Available through Australian Solenoid, Kraus & Naimer KG isolating switches meet international and Australian standards.